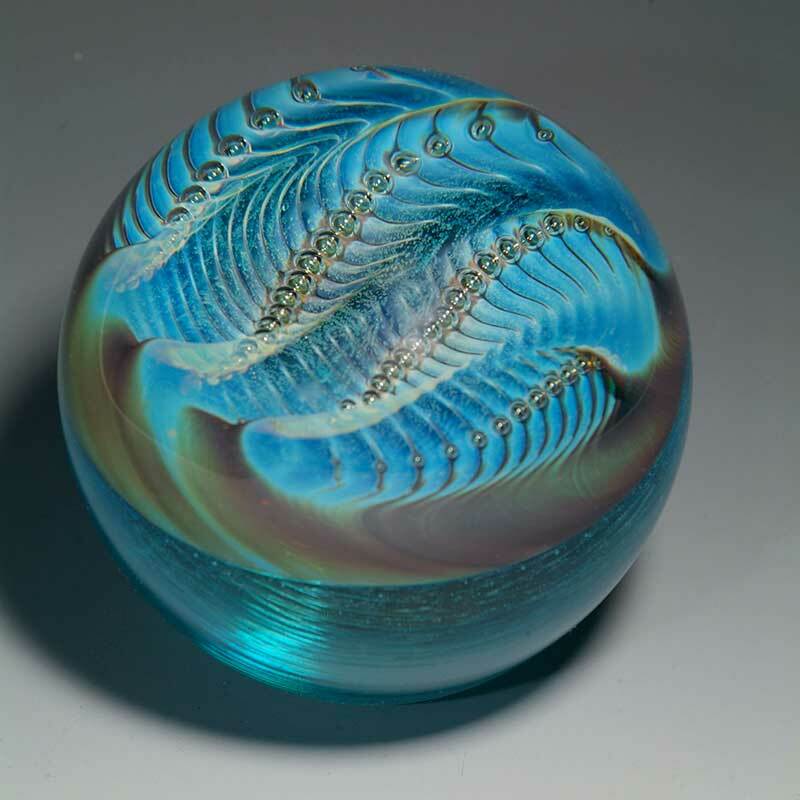 3.5 inches in diameter and 6 inches tall. 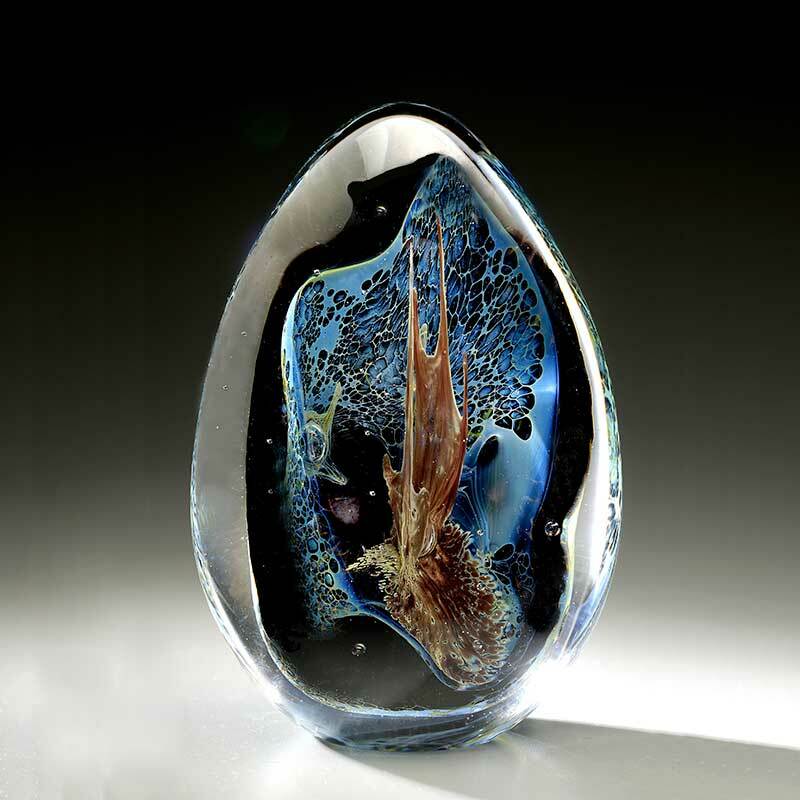 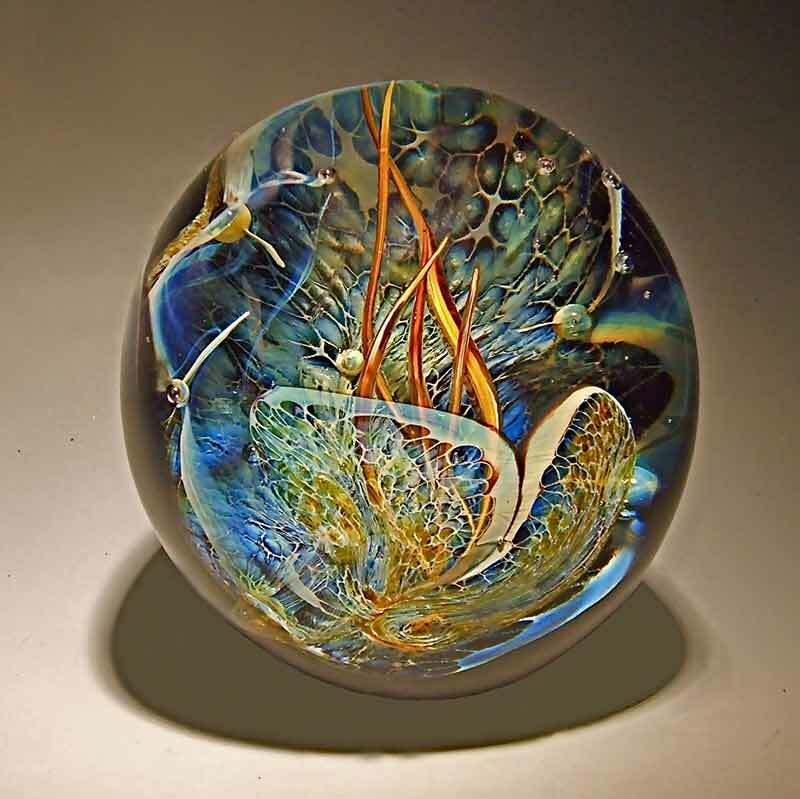 Similar to Bob’s other Grotto Paperweights, layers of different glasses are built up to evoke an underwater garden. 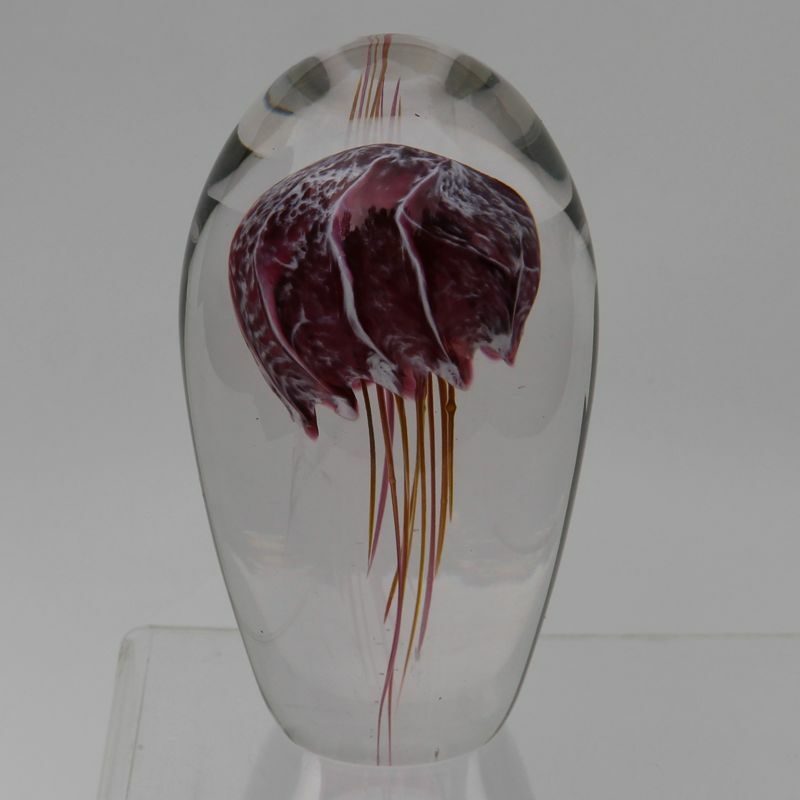 Here the work is intentionally asymmetrical to be more organic and natural. 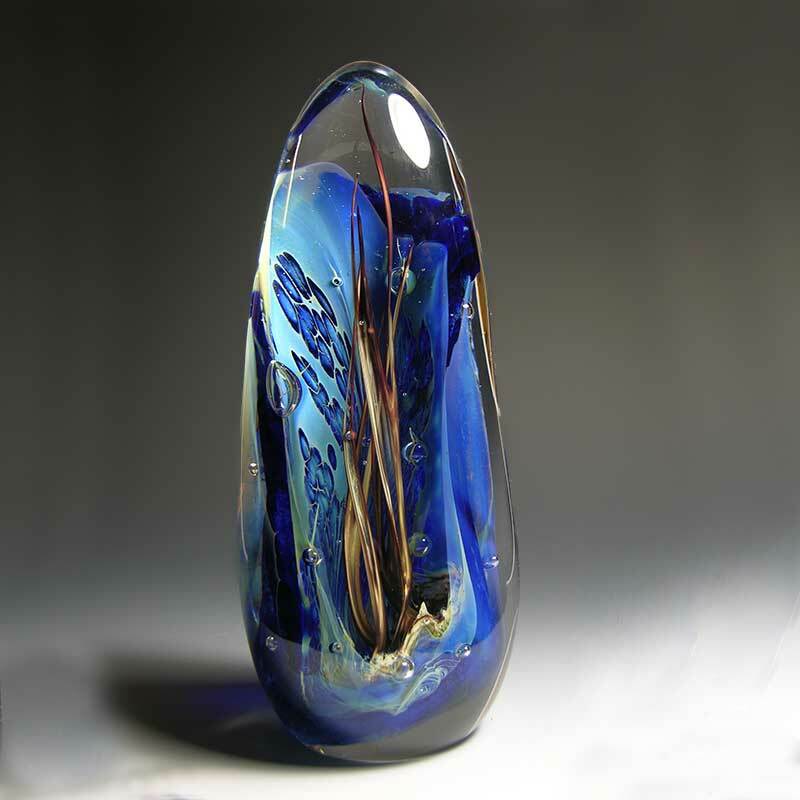 This piece has a deep cobalt blue background with the silver blue layer over it.